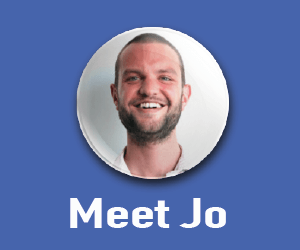 We’re very pleased to announce that Jo Sayers has joined our team as Head of Product. This marks an important shift of focus for the company as we look towards becoming EdTech creators rather than simply commentators. What’s your story, how did you end up in the ELT industry? I started teaching English in Turkey. I was travelling in the Middle East after university and when I got to Turkey I had a great time, met some lovely people and decided to stay on and live in Istanbul for a while. I had given myself a few years before I needed to find a ‘career’ but then after a while I realised ELT was my career! Describe the industry in two sentences. One part altruistic, friendly folks trying to do good but secretly suspecting that they’re part of huge homogenising imperialist effort to force English on the world. One part imperialist capitalists making loads of money by forcing English upon the world, while trying to make it look like they’re friendly, altruistic folks. Can you say a bit about your personal teaching methodology? Does it have anything to do with what prompted you to get involved with EdTech? When I taught I was mostly focused on lowering the affective filter. But later I started to realise that pushing people more was actually a positive thing. I was a fairly typical native speaker product of CELTA and DELTA to be honest; an advocate of the communicative approach etc. etc. I like to think that if I were teaching more now, I’d be ditching the grammar for lexis more than I used to. I liked using technology in class where possible, but it was through materials and test writing that I became more interested in the tech-related aspects of ELT. What brings you to ELTjam? We all have a similar outlook on the potential of EdTech, and get on well. The role is similar to things I was doing before as Product Manager for English at busuu and builds on some other work I was doing at EC in Malta. But mostly because I’ve wanted to work for them for ages, was ready to move on from busuu, and they actually offered me a job! Let’s hope that advances in technology will allow teachers to spend more time on the things that actually benefit the learners by taking the monotonous and repetitive aspects of learning a language out of their hands. There will be lots of new products on the market that don’t work, and some that do. Hopefully learners, educators and teachers will all get better at working out which category new products fall into. Language learning should be available to more people, take less time and be more fun and rewarding. The ELT industry is obviously changing – what do you think are the main challenges it will face? The move towards adaptive learning technology and atomisation of language into discrete points doesn’t necessarily fit in with the fact that genuine communicative competence requires a lot of different aspects of language knowledge and skill proficiency to come together in real time. Navigating this issue will be a challenge. Any ideas on how to resolve them? A purely top-down or bottom-up approach to language learning isn’t advisable, and I think that the same is true in the case of adaptive learning vs higher order communicative competencies; by realising the strengths of these different ‘approaches’ we can offer maximum possible value to the learner. This weekend I’ll be up at the Startup Weekend in Cambridge, and that will take up almost all of every day! But on Monday I’m going out cycling in Hertfordshire with my mate and then maybe a few bank holiday beers, hopefully in the sunshine. They came at the same time. Nice move, Jo! I wondered how long you would stay at busuu following the Pearson partnership! Good luck jamming. Hi James. Can’t say that the Pearson partnership played much of a role, but great to be working with ELTjam, and looks like some exciting things to come! So, unfortunately this basically means that our kind hosts can no longer act as semi-objective observers. The observers now become paid actors in the play and as a result will have a stake in what is said (or not said) on this blog. Knewton, and the rest become either competitors or partners and teachers become possible customers. Is this what I am hearing? Forgive me for being so blunt. It is a concern. Thanks for the comment and it’s completely understandable that you should raise the question. As far as we’re concerned our contribution to the blog and our business activities have always been kept entirely separate. We have been operating as a publishing services provider for several months already, for example, but have kept that part of our work well away from the content we post here. We intend to keep that up as we develop and (hopefully!) grow as a business. We’re incredibly proud of the blog as a platform for people to share, comment on and debate all manner of topics across the ELT and EdTech spaces. It’s really important to us that eltjam.com continues to function as an open, unbiased site regardless of what direction our business takes us. Thanks again for sharing your concerns and I hope you’ll let us know if you notice a change in the tone of the blog at all. Congratulations, Jo, on the move! Exciting times ahead. Jo, I’ve known these guys for longer than is respectable, and I’d just like to say: mate, it’s not too late. If you open your door now and start running, you might just get away. And … if you want to disappear and resurface with a new name and identity, I know people who can help. Otherwise, you might end up sharing a pair of 1980’s moccasins with Nick Robinson. Haha, but it’s raining so hard here in Hackney Wick! I appreciate the advice though. Will give you a call if I need the new identity, but let’s hope it doesn’t come to that. And if you ever see me in Nick’s moccasins you have permission to remove your own shoe and hit me round the head with it.